Start of work to connect homes with PFOS-contaminated private wells to the municipal water system in Westhampton Beach begins. NYS and U.S. DOD will cover cost of connecting 66 homes. Photo by: Giani Pralea, via Free Images. Westhampton Beach, NY - November 7, 2016 - New York State Department of Environmental Conservation (DEC) Commissioner Basil Seggos today announced the start of work to connect homes with PFOS-contaminated private wells to the municipal water system in Westhampton Beach. New York State will reimburse the Suffolk County Water Authority for costs associated with connecting 57 homes threatened by contamination from the nearby Gabreski Air National Guard Base, recently declared a New York State Superfund site, to the municipal supply system. In a separate agreement with the Suffolk County Water Authority, the U.S. Department of Defense (DOD) has agreed to cover the cost of connecting nine homes with private well contamination that meets or exceeds current U.S. EPA health advisory levels for PFOS. "DEC is working aggressively to protect the public and the environment whenever and wherever contamination is found and to hold polluters accountable for their actions. With the State Superfund declaration of the Air National Guard Base at Gabreski Airport, DEC, in consultation with DOH, will direct and oversee the Department of Defense as it conducts a full site investigation into the nature and extent of the PFOS contamination and develops necessary remedial action plans to mitigate human exposures to site-related contaminants," Commissioner Seggos said. After New York designated Gabreski Air National Guard Base as a State Superfund Site in September, the DOD agreed to fund the connection of nine homes with private wells impacted by contamination from the Base to the municipal water supply operated by the Suffolk County Water Authority where perfluorooctanesulfonic acid (PFOS) contamination meets or exceeds the U.S. Environmental Protection Agency (EPA) threshold of 70 parts per trillion (ppt). Absent federal funds, New York State will use state Superfund resources to complete connections for approximately 57 residents with private wells that do not currently exceed the contamination threshold, but are threatened in the future in order to ensure residents have access to clean drinking water. The work is expected to be completed in December. Department of Health Commissioner Howard Zucker said "The remediation efforts now underway demonstrate the effectiveness of the state's Water Quality Rapid Response Team in managing these water quality issues that threaten the health of New Yorkers. 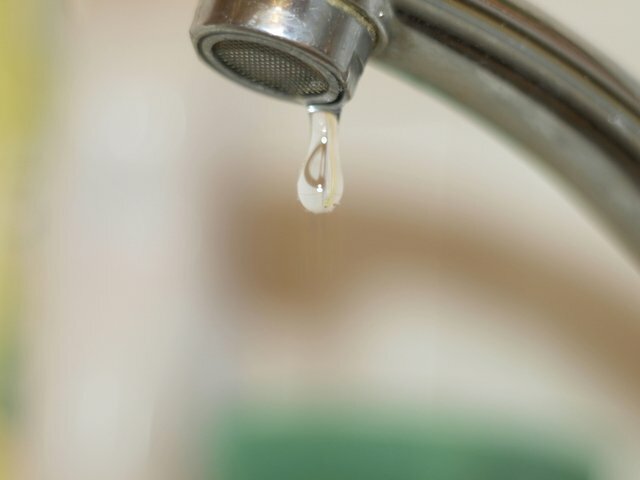 DOH will continue to work with DEC to actively monitor the situation in Suffolk County and work to ensure that residents near the Gabreski Air Force base are protected from contaminants in the drinking water." Governor Andrew M. Cuomo's Water Quality Rapid Response Team analyzed data from the U.S. EPA Unregulated Contaminant Monitoring Rule program to identify potential areas of contamination statewide, which led to the discovery of the groundwater contamination near Gabreski Airport. In July, DEC identified the Air National Guard Base, including the former fire training area at the airport, as a potential Superfund site due to historic use of firefighting foam containing PFOS. DEC immediately initiated an investigation and took groundwater and soil samples at the base, which confirmed that the site is a significant source of PFOS contamination in the area. Also in late July, Suffolk County collected samples of 66 private drinking water wells from Westhampton Beach and found several were contaminated. Of the private drinking water wells sampled, the private wells of nine homes were found to have PFOS contamination that meets or exceeds EPA's threshold of 70 ppt. Samples from three wells detected levels of PFOS below the EPA threshold. The State has, and continues to, work closely with Suffolk County and the Suffolk County Water Authority to ensure local residents are fully informed, have access to bottled water, and are quickly connected to the municipal water supply. In September 2016, DEC formally declared the Gabreski Air National Guard Base a Class 2 Superfund Site. With this designation, DEC identified the DOD, which oversees the site's operations, as the potentially responsible party for PFOS contamination detected in nearby groundwater supplies. DEC is using its full legal authority under the State Superfund law to ensure a thorough site clean-up. DEC added PFOS to the state's list of hazardous substances in April in order to unlock State Superfund dollars to address PFOS contamination across the State. Both PFOS and PFOA remain unregulated by the U.S. EPA. Suffolk County Executive Steve Bellone said, "Making sure that residents of the community near the Air National Guard Base have clean, safe, drinking water is our absolute top priority. Under Governor Cuomo's strong leadership, the State's Water Quality Rapid Response Team and DEC Commissioner Basil Seggos have addressed the need to connect homes to public water as quickly as possible. We are grateful to DEC for the important role it has played in this process." "We look forward to connecting residents impacted by PFOS with public water from SCWA that is constantly tested and meets health standards," said SCWA Chief Executive Officer Jeffrey W. Szabo. "And we thank Governor Cuomo for making this a reality very quickly." Senator Ken LaValle said, "I'm pleased to see the progress in securing safe, clean water for the homes identified as having contaminated wells. The connection to the municipal water system is a critical step in protecting the health of area residents. We need to remain diligent in monitoring the situation and assure that all issues are addressed expeditiously for the safety of the community." NYS Assemblyman Fred W. Thiele, Jr. said, "With today's announcement, I continue to be impressed with the urgency, speed, and transparency with which the New York State Department of Environmental Conservation has acted and remained while addressing this environmental concern." In late February 2016, Governor Cuomo established the Water Quality Rapid Response Team charged with swiftly identifying and addressing critical drinking water contamination concerns across the state. Co-chaired by DEC Commissioner Basil Seggos and DOH Commissioner Dr. Howard Zucker, the team has been working to rapidly respond to site-specific issues, and to develop and Action Plan that will include recommendations to strengthen the state's existing drinking water, groundwater, and surface water protection programs. Celebrate Long Island’s State Parks at I Love My Park Day on May 7! Subject: LongIsland.com - Your Name sent you Article details of "DEC Announces Start of Work to Connect Homes with Contaminated Private Wells to Clean Public Water Supply in Westhampton Beach, Long Island"